Dave Kulju - Electric Guitar on "Heart And Mind United"
Chris Rossi - Piano on "Degrees Of Force"
"Each one has his circle of influence, large or small; within his sphere so many souls and minds are involved; with his rise, they rise; with his fall, they fall. The size of a man’s sphere corresponds with the extent of his sympathy, or we may say, with the size of his heart. His sympathy holds his sphere together. As his heart grows, his sphere grows; as his sympathy is withdrawn or lessened, so his sphere breaks up and scatters. If he harms those who live and move within his sphere, those dependent upon him or upon his affection, he of necessity harms himself. His house or his palace or his cottage, his satisfaction or his disgust in his environment is the creation of his own thought. Acting upon his thoughts, and also part of his own thoughts, are the thoughts of those near to him; others depress him and destroy him, or they encourage and support him, in proportion as he repels those around him by his coldness, or attracts them by his sympathy. When opposing elements encounter each other they can repel or neutralize themselves, or according to Jungian thought, it can lead to the Coniunctio Oppositorum - the Union Of Opposites - a form of higher unity and transcendence of polarities. The concept that opposite aspects are really parts of one dynamic process is universal to all cultures, past and present, and I thought that this theme was an excellent explanation of what I was trying to achieve musically with this release: merge several ethnic traditions and disparate musical elements into a unified whole, as well as creating a dynamic interplay between the dual aspects of rhythm and melody of the bass guitar. This composition blends traditional Asian instruments and themes with jazz fusion-styled bass guitar over major (light) and minor (dark) modalities. It features yangchin (aka yang qin - a Chinese dulcimer) and dizi (Chinese transverse flute) solos, as well as a brief bass guitar lead, all backed by several percussion instruments, including: bangu (frame drum), muyui (tuned woodblocks), paiban (castanets), paigu (Chinese drum set), gongs, bells, and cymbals. As the title suggests, this arrangement alternates between gentle and powerful sections in a variety of Mediterranean/Middle-Eastern rhythms, including: Ayyub (or Ayyuub), Baladi (or Beledi, Baledy), Cheftitelli (or Ciftetelli), Maqsum (or Maksum, Maqsoum), Malfuf (or Malfouf), and Saidi (or Sayyidii) - all performed on two doumbeks. Classical guitars, fretted and fretless bass guitars round out the instrumentation playing both lead and supportive roles while trying to maintain song flow over all the dynamic sections. Armed with sense and liberty. 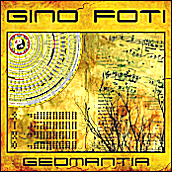 This arrangement is centered around question-and-answer & tradeoff solo sections between me (on piano) and my Electrum bandmate, guitarist Dave Kulju, over various percussion instruments and rhythms from throughout the globe. It also includes an ensemble section sharing fragmented melody lines that recalls our past efforts in the instrumental progressive rock genre. Bass guitar is joined by two classical guitars and several Latin percussion instruments playing different Bossa feels. This composition features individual piano and fretless bass guitar solos, as well as a call-and-response section between the two, in the Spanish Phrygian (or Phrygian Dominant) scale, over a bed of rhythm guitars and Latin jazz-styled congas, bongos, and hi-hat cymbals. This arrangement showcases keyboardist Chris Rossi. The title is the Shona (Zimbabwe and Mozambique) vernacular for "dusk", literally "when the leopard hunts". The main instrument for this piece is the mbira (thumb piano), which is closely associated with the Shona people as it pervades all aspects of their culture. Using their traditional repertoire as a point of departure, I arranged two mbira parts - a leading (kushaura) and an intertwining (kutsinhira), and added jazz-rock fusion ideas on top. Additional instrumentation includes: djoun (aka djun djun - African drum), clay pots, marimba, and of course - fretted and fretless bass guitars, with the latter performing a solo in 6/8 time signature. Traditional rhythms and instruments from Thailand are blended with bass guitars in this composition. Some of the Thai instruments include: khlui (aka klui - a wooden flute), pii (bamboo whistle), wode (pan pipes), khong (bronze gong), ching, chhap (both cymbals), and klong yao (hand drum). Saudade is a Portuguese word that is not easy to translate. In his book "In Portugal", AFG Bell wrote: "The famous saudade of the Portuguese is a vague and constant desire for something that does not and probably cannot exist, for something other than the present, a turning towards the past or towards the future; not an active discontent or poignant sadness but an indolent dreaming wistfulness." Acoustic piano is joined by fretless bass, acoustic guitar, and Latin jazz-styled percussion over a repeating chromatic progression, meant to represent a nostalgic tension between the longness for what is gone and the expectation of return. Piano and fretless bass guitar are the prominent instruments playing over a rhythm section of two electric guitars, frame drum, and a doumbek playing Ayyub (a driving Mediterranean rhythm) patterns. Following the central themes of the quote above and this release, dynamic balance between the main instruments was my main focus for this piece. Fretted and fretless bass guitar are joined by African percussion, voices, flutes, mallet instruments (marimba, tongue drum, slit drum), and of course - a pride of lions - in an arrangement that features 6/8 and 7/8 odd time signatures. Assembled from jam sessions and unused material by Electrum, this miniature suite features piano, bass guitar, and fretless bass with each instrument taking the lead role in one of the sections that receive their titles from the three Masteries of the Toltec (pre-Aztec Mexican) tradition. Drum kit, congas, woodblocks, and classical guitars round out the instrumentation for this piece. A "tongue-in-cheek" composition featuring fretted and fretless bass guitars, electric guitars, and Mediterranean/Middle-Eastern percussion - mostly doumbeks (or doumbec, darbuka) playing jazz-funk patterns and also performing a panned call-and-response solo. An acoustic piano and classical guitar composition, mainly in 6/8 and 3/4 time signatures, in the Baroque "chiaroscuro" style -- blending shades of light and darkness in the hopes of producing a unified whole. "The whites, too, shall pass - perhaps sooner than other tribes. Continue to contaminate your bed, and you will one night suffocate in your own waste. When the buffalo are all slaughtered, the wild horses all tamed, the secret corners of the forest heavy with the scent of many men, and the view of the ripe hills blotted by the talking wires, where is the thicket? Gone. Where is the eagle? Gone. And what is it to say goodbye to the swift and the hunt? The end of living and the beginning of survival. We might understand if we knew what it was the white man dreams, what hopes he describes to his children on long winter nights, what visions he burns into their minds, so they will wish for tomorrow. But we are savages. The white man's dreams are hidden from us. And because they are hidden, we will go our own way. If we agree, it will be to secure your reservation you have promised. A reverie of Native American voices, featuring the Dinè (Navajo) peoples, percussion (drums, shakers, rattles, etc. ), ocarinas, and flutes are fused with fretted and fretless bass guitar, two drum kits, electric violin, and numerous synth themes and beds.